When you’re looking to make an impression, it’s the details that make you stand out. Success looks like someone who notices, someone who is thoughtful and intentional. It looks like someone who doesn’t settle for ordinary and who lets their imagination bring life to every single day. Believe it or not, the socks you wear can say a lot about you. Take this as an opportunity to make a statement. 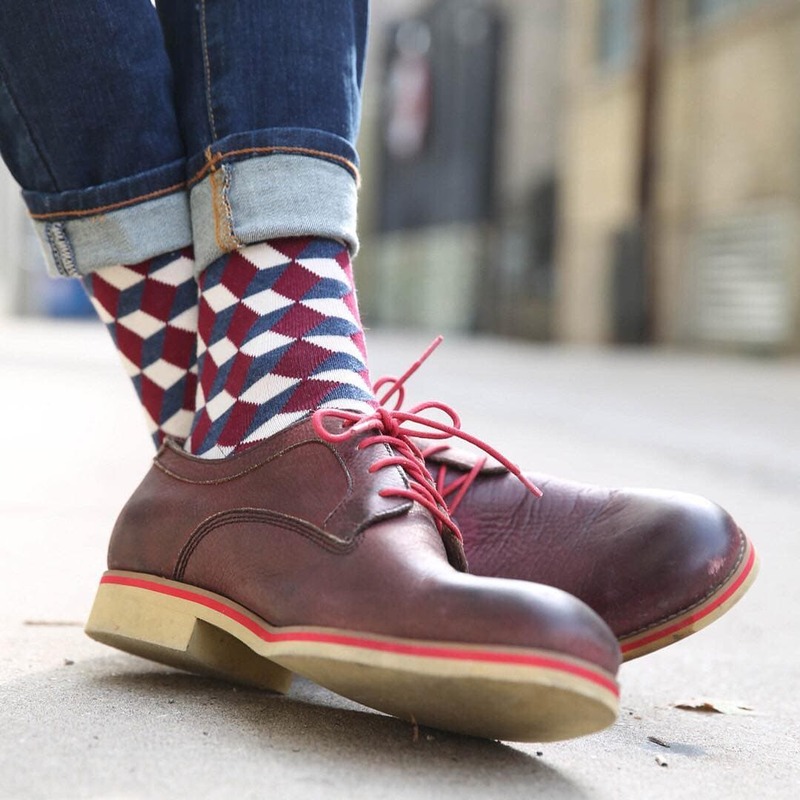 Here are some ways you can incorporate statement socks into each occasion. Casual attire doesn’t necessarily mean casual sockwear. 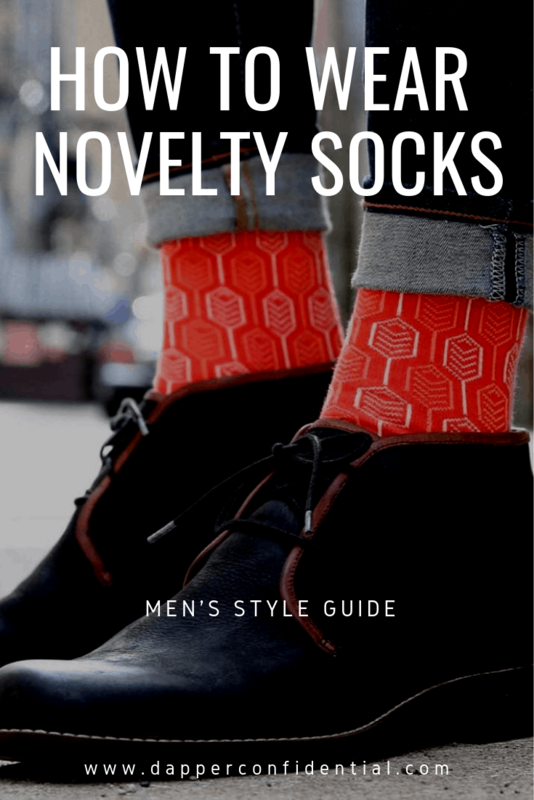 In fact, this is your chance to get even more creative with your sockwear as your footwear options and your statement options are essentially endless in the causal realm. Whether it’s just for yourself or for your adoring fans, this is an opportunity to breathe a little fun and creativity into your every day. Whether you prefer sweats or jeans, sneakers or boots, work casual or lounge casual, you’ll be able to find a way to add personality to every outfit. A heathered stripe sets a relaxed tone for a sharp, but relaxed look. Find a pair of shoes that bring out the stripes and add a pair of dark jeans for a classic, put together combo. 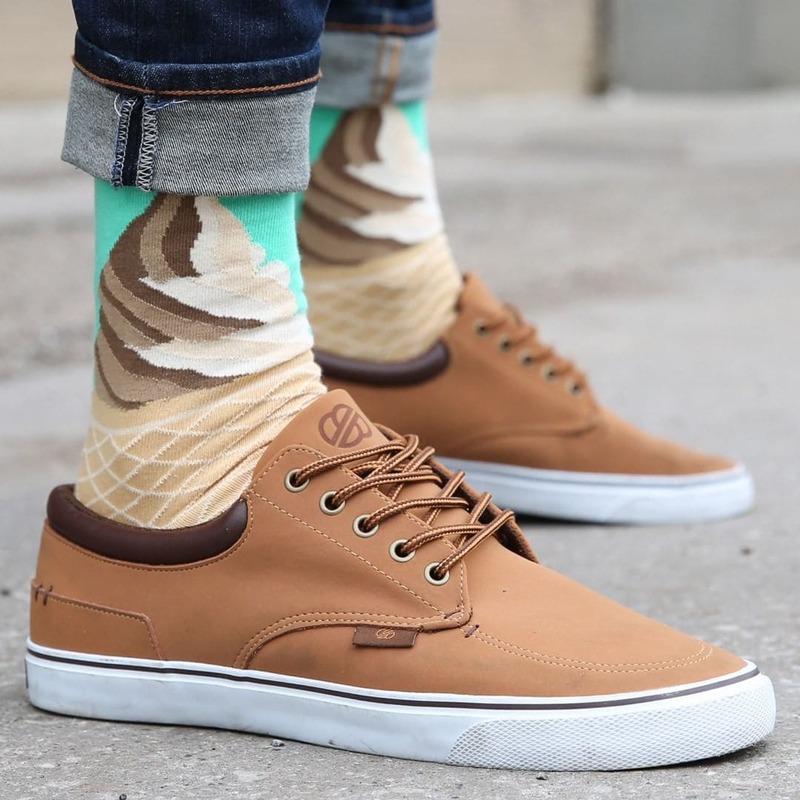 Find a pair of socks that showcase your favorite hobby. 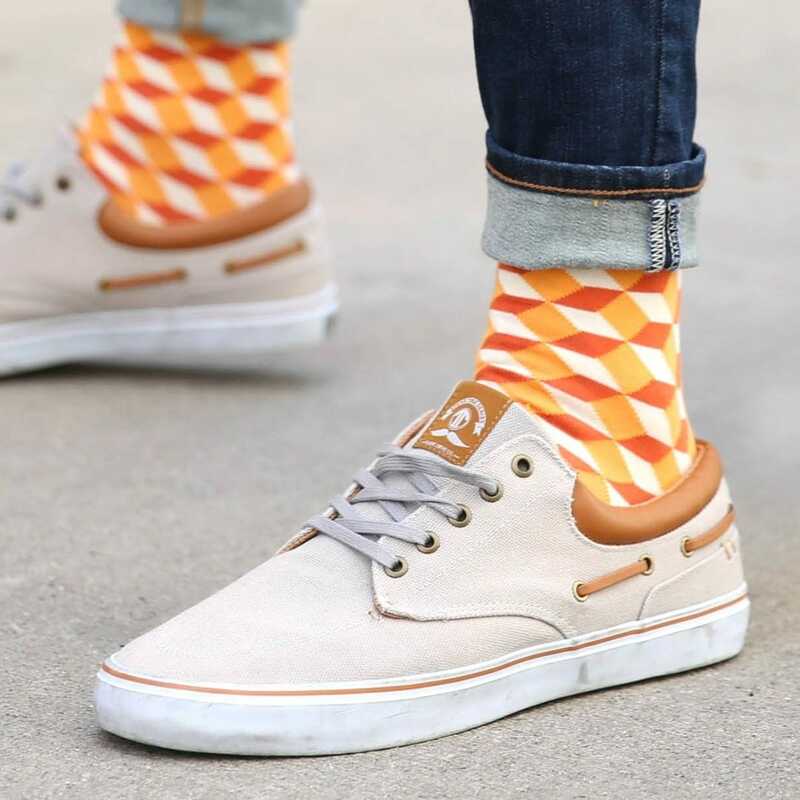 These bowling socks paired with light tan sneakers bring a light, whimsical element to a laid back outing. Grab a lighter pair of brown leather shoes with a checkered sock for a more subtle statement. 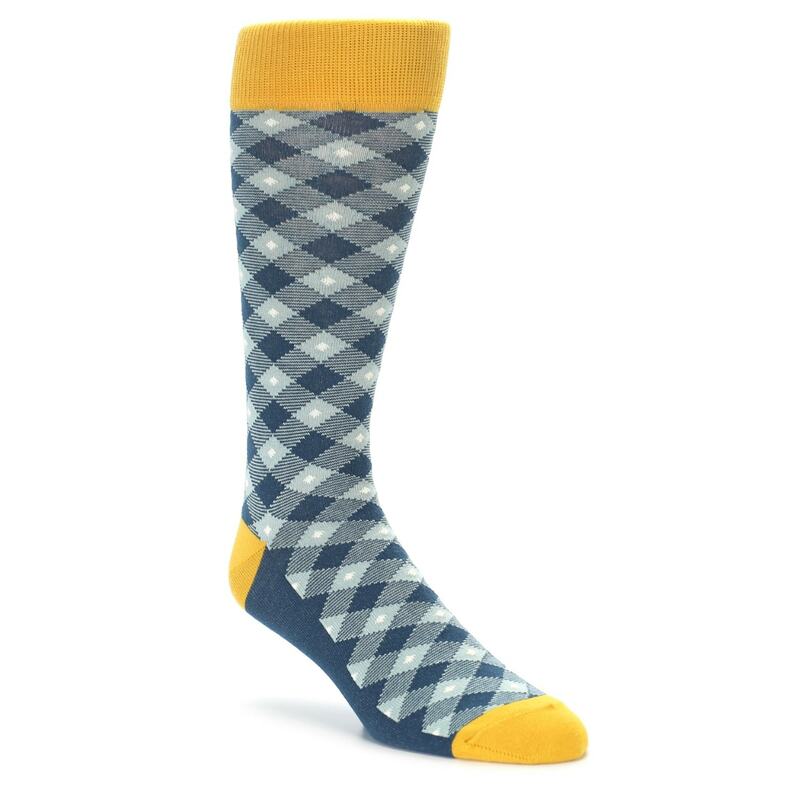 If you’re able to choose a sock with a color that pulls out the light ruggedness in the shoes, even better. 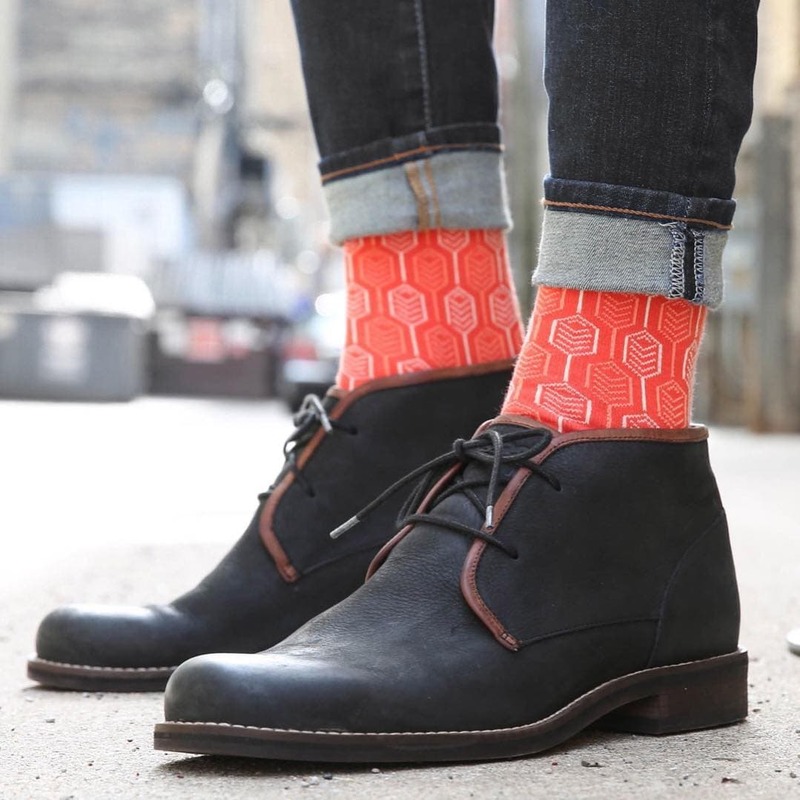 Unleash your inner boldness with some bright, neon orange optical-illusion socks. Paired with unassuming jeans and sneakers, these are sure to make a statement and help you step up your laid back look. Let no detail be ordinary. Pair these colorful heat map socks with just about anything for an eye-catching look while you’re on the go. This is also a good opportunity for mixing patterns by pairing a plaid shirt with a bold sock. Attire for a night out starts to shift as you slip into adulthood. Is it workwear? Is it casual wear? Usually, it falls somewhere in between, which doesn’t have to be a bad thing. Take this opportunity to amp up your casual style and have a fun, put-together look out at dinner, attending a concert or hitting the town. 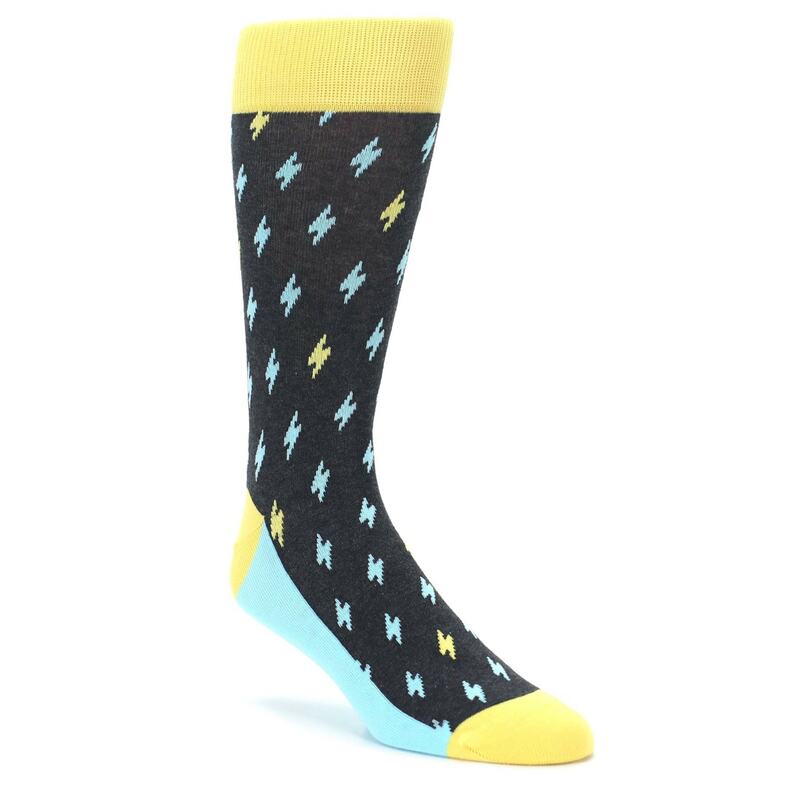 Cool and subtle, these lightning bolt socks spark a good night out. Pair them with a dark two-toned shoe for a winning look. Understated and classic, but still bold, this combination makes an impression and sets the tone for a perfect night. 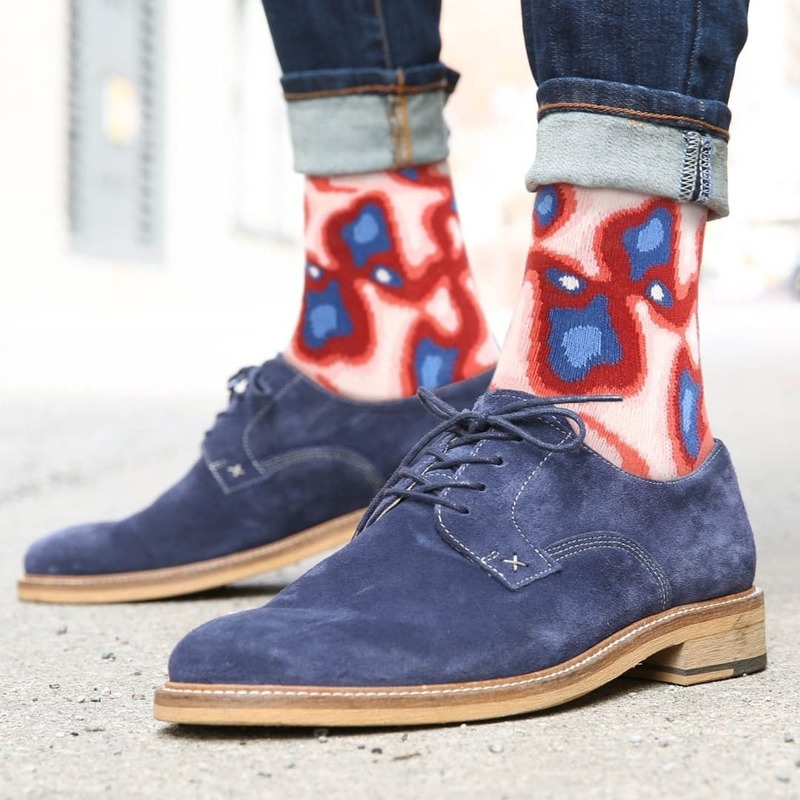 Pair a fun patterned sock with a shoe that pulls out the color in it. 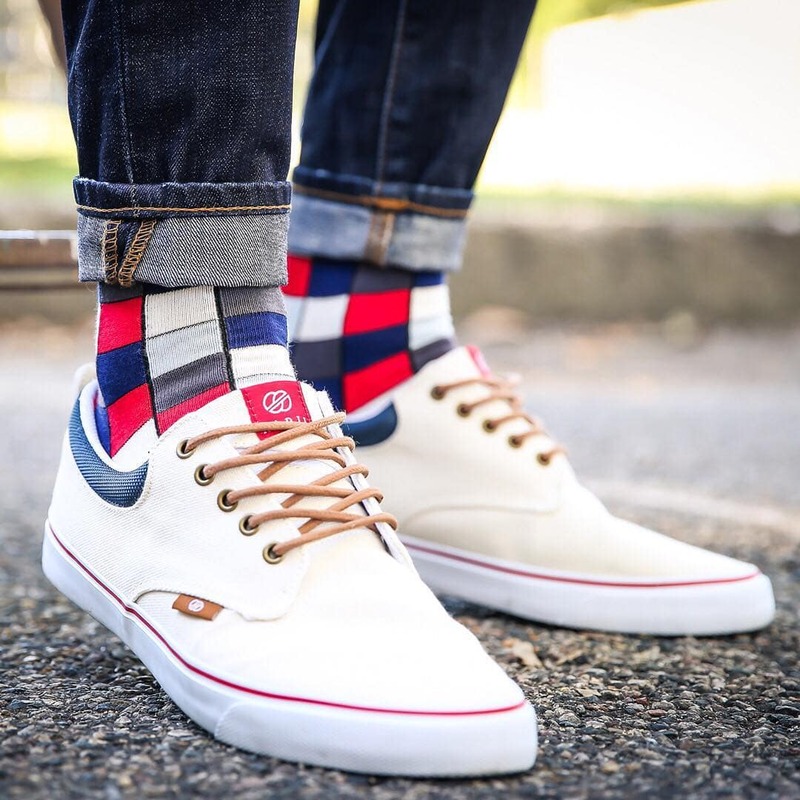 The red, white and blue in these socks is brought to life a little more with the red elements in the shoes and the blue jeans. This is a good look for a casual night out in the spring or summer. A little more on the wild side, coupling a bright red sock with a darker shoe gives way to a surprising element to an otherwise predictable night out look. Match a blue plaid sock with a dark leather shoe for a dapper look that channels lumberjack vibes. Perfect for walking around town or stopping by a concert, this combo will suit you well wherever you go. Enter the world of pastels. Pair a pastel patterned sock with charcoal shoes that bring out the subtle charcoal in the pattern for a playful night out look. Ah, your time to really shine. Just because you’re wearing a suit and dress shoes doesn’t mean you have to look like everyone else. In fact, this is your prime opportunity to show a little extra personality. Suit pants and dress shoes provide a pretty universal base to add any type of sock to. Light gray and brown make the perfect palette to play around with pastels. 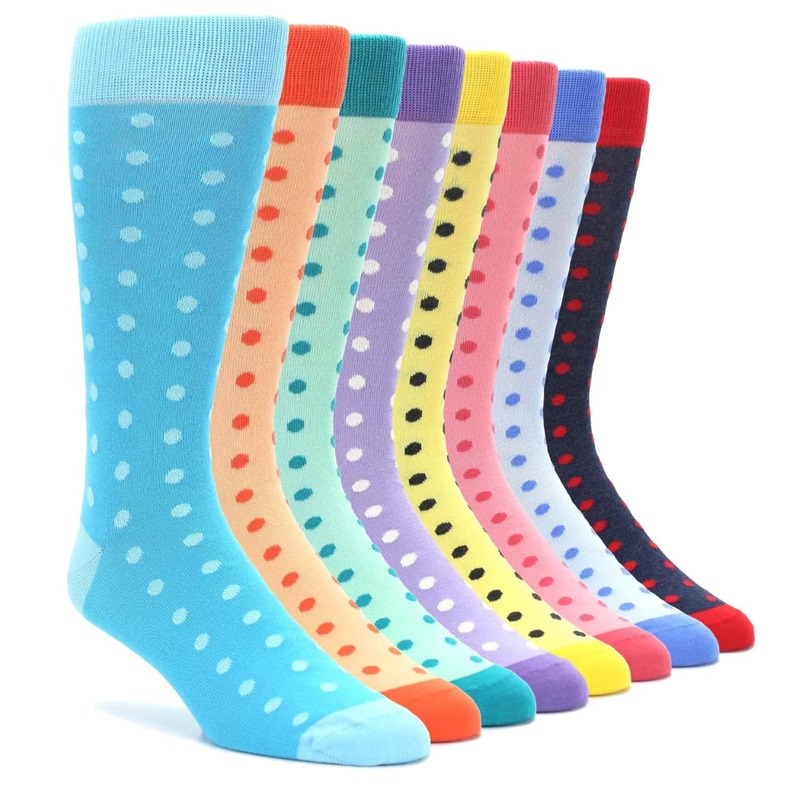 Opt for some polka dot pastel socks to add a little more personality to your dress attire. Ah, everyone’s favorite, the blue suit and brown shoe combo. This is your chance to have some fun and make a really good-looking statement. 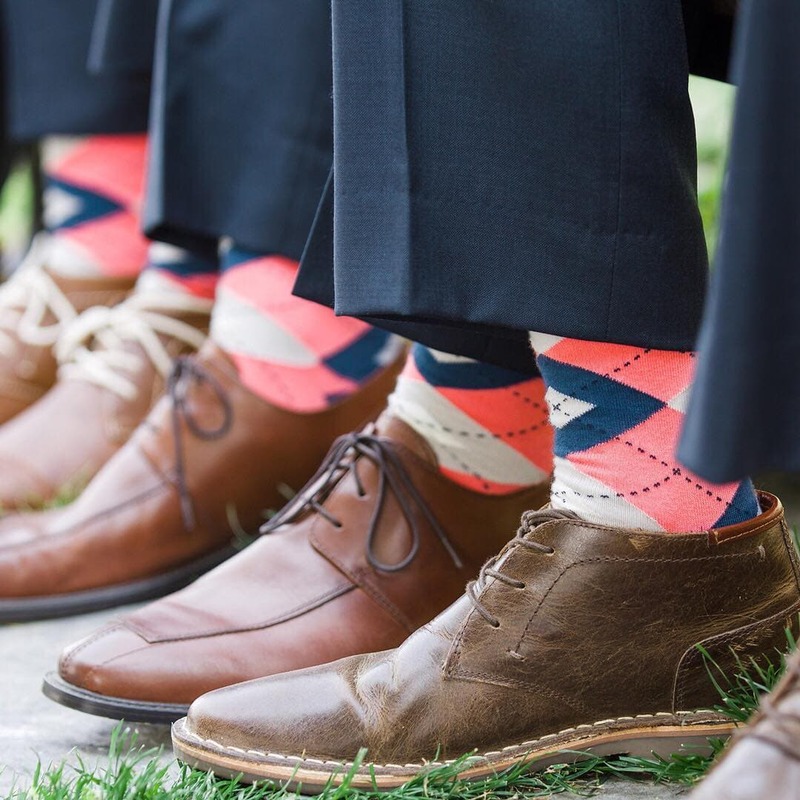 Pair your blue suit with some blue and pink argyle socks for a dapper look. 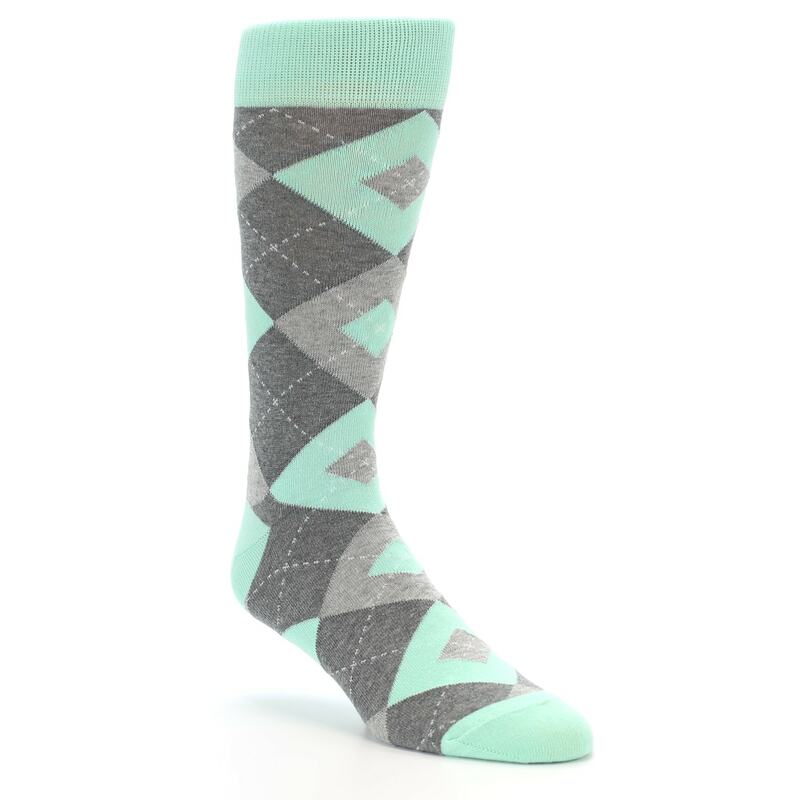 For a lighter look, pair a light suit with mint and gray argyle socks. The mint adds a fresh feel and a pop of color to the palette. Opt for any light color to bring a lighter vibe to your look. Dark and dapper, when you’re suited up to the nines and donning the black suit and tie, reach for a classic pair with a rich color. 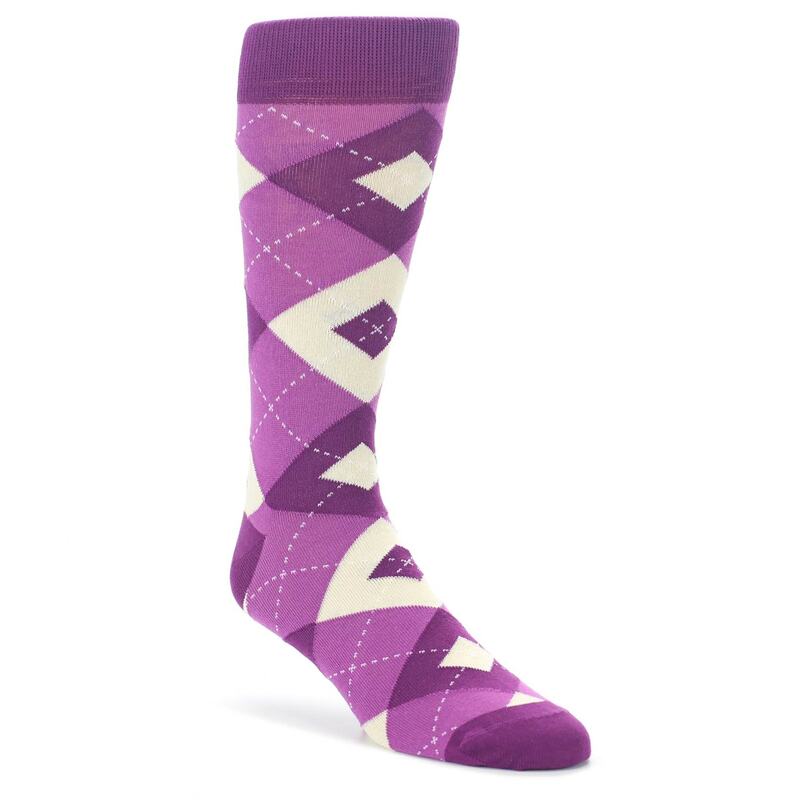 Purple argyle adds a playful, but still dressed up, vibe to the ensemble. 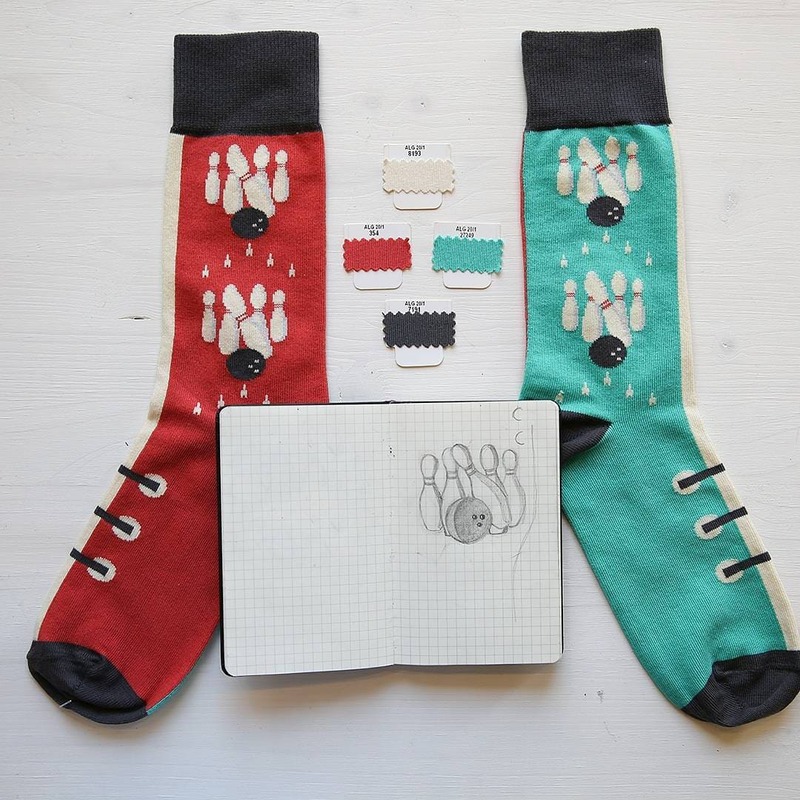 Two words: novelty socks. 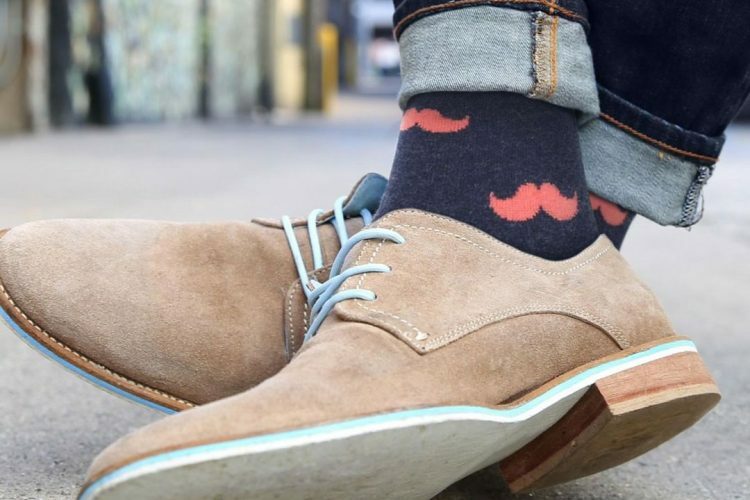 The blue suit and brown shoes provide the perfect backdrop for some serious fun with socks. Find a pair that truly speaks to you and sparks joy (thanks Marie Kondo) and wear them with pride and confidence. A great conversation piece, a wonderful way to show off your personality and a really good excuse to try some wild dance moves and show off your socks even more.